Warning: Is This Hiding In Your Drinking Water? Are you drinking plastic particles? Today products sold in plastic bottles and other plastics are all racing to claim they are free of bisphenol-A, or BPA-free. This is because BPA is a known hormone-disrupter. It contributes to estrogen dominance in men, breast cancer in women, reproductive disorders in both sexes and a whole host of other problems that are only now being explored in depth. But did you know that even BPA-free plastics contribute to estrogen activity? The truth is almost all BPA-free plastics – regardless of the resins and plasticizers used –release estrogens. This includes everything from plastic storage containers to plastic sippy cups… water sold in plastic bottle… plastic coffeemakers and coffee pods… plastic dinnerware and so much more. Some of them have even more estrogen activity than ones that contain BPA. In fact, when analysts tested 445 different non-BPA plastic products commonly used in these kinds of products, a whopping 92% of them showed estrogenic activity. And this was because factors such as heat, age and sunlight stressed the plastics. In other words, products marketed as BPA free are not necessarily free of estrogenic activity. When it comes to plastics, estrogen activity isn’t all you have to worry about. It turns out that, in some cases, you may actually be ingesting the plastic itself. We’ve known about plastic particles for a while. But now a new research paper specifically analyzed the amount of these particles found in popular brands of bottled water. It included brands such as Aquafina, Dasani, Evian, Nestle Pure Life, and San Pellegrino. All told, the research team collected more than 250 bottles from 11 different brands in nine different countries. And guess what? They discovered microplastic contamination in 93% of the bottled water tested….93%. The great majority of these were very small particle size, less 6.5 and 100 micrometers. Source: Mason SA, et al. 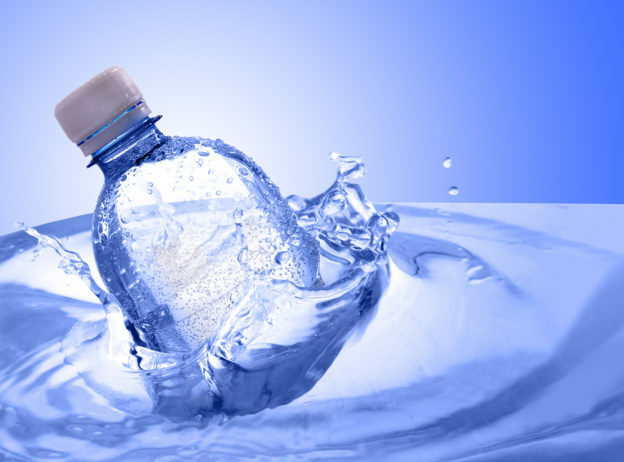 Synthetic Polymer Contamination In Bottled Water. State University of New York at Fredonia, Department of Geology & Environmental Sciences. Mar 2018. Well, I find this to be a big problem. That’s because the smaller the particle, the easier it is for these microplastics to slip into the intestinal mucosal barrier. This barrier is your first line of defense when it comes to the absorption of toxic materials and organisms. What happens once these microplastics cross that barrier is relatively unknown. But we’re pretty sure of a few things. We know that microparticles show up in the human lymphatic system. It also appears they have the ability to bind to proteins and lipids. Plus, they tend to bind with other toxic substances. Additionally, plastic particles are likely seen by your body as “foreign” invaders. 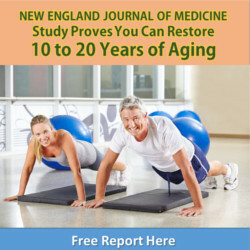 This could result in an immediate immune response and trigger inflammatory factors. Ultimately, these particles could present a long-term source of inflammation, toxic chemical exposure and estrogen build up in your body as they accumulate over your lifetime. I admit that we have a long way to go when it comes to understanding all of the potential health issues associated with plastics and plastic particles. But as far as I’m concerned, this makes it even more important to start practicing precautionary measures right now. Otherwise, you could potentially fall prey to some devastating effects associated with a long-term build-up of plastic-related estrogens, chemicals and other toxins in your cells and tissue. I also recommend ditching all of your plastic storage containers, cups and dinnerware. Plastic blenders, juicers and coffeemakers are risky, too. You are much better off using products made with glass and stainless steel. As far as drinking water is concerned, you can decrease your ingestion of plastic particles to a fraction of those found in bottled water by making good use of your tap water. But you don’t want to drink it straight out of the tap. After all, tap water is notorious for high levels of toxic chemicals and contaminates. There is any number of filtering and treatment systems (such as carbon filters, reverse osmosis systems or even simple counter top distillers you can use to remove all of these harmful compounds from tap water. But you need to take the time to find ones whose key components are not made of plastic. And if you use a water distiller, be sure to choose one that has a stainless steel steam chamber with a glass carafe. Mason SA, et al. Synthetic Polymer Contamination In Bottled Water. State University of New York at Fredonia, Department of Geology & Environmental Sciences. Mar 2018. Revel M, et al. Micro(nano)plastics: A threat to human health? Current Opinion in Environmental Science & Health. 2018;1(17-23). Wright SL, et al. Plastic and Human Health: A Micro Issue? Environ Sci Technol. 2017 Jun 20;51(12):6634-6647. This entry was posted in Detoxification and tagged are plastic particles harmful, bpa-free plastics and estrogen, how bad are plastic particles, how to remove plastic particles from water, plastic particles in drinking water, which plastics are bpa free on April 16, 2018 by Taylor Donnini. Thank you for letting me stroll down at my own rate of speed to read what you have to say. I really appreciate that. Others say we need to “click here” and then listen to their short presentation which runs for 45 min. Who has the time to devote 45 minutes to listening to all the wording they could omit and let me get on with my life. Thanks for allowing me to scroll down and get to the bottom and decide to order or not to order. I really appreciate that. When I go into a store I run in and I run out. Some stay for an hour relaxing. I can’t do that. Thanks again. I hear what you are saying. I agree with your presentation. I will be back.